This is one of the most profound short story collections I’ve read over the past few years. I say that with no hesitation, because let’s face it–most short story offerings these days ain’t that good, unevenly written at best. Very rarely are ALL of the stories in a collection readable and relatable pieces of literature. “A Lucky Man” is one of the few exceptions. In this volume are nine stories, all featuring Black men and boys in the Bronx who are dealing with life and its societal pressures. There is a focus on masculinity here, specifically Black masculinity–how Black men view the women in their lives, their families, and how they justify their behavior toward them. There are definitely depictions of unhealthy relationships here, but it’s not just sexism on display. The nuances of what it means to be a Black man are explored here in a variety of different settings: in some cases, the choice to reject traditional “male” behavior has disastrous consequences, but in others, the character finds peace. The powerful story “J’ouvert 1996” was my favorite in this collection, which tells the story of a young boy’s coming of age during an all-night street festival. “Everything the Mouth Eats” is the tale of two brothers’ healing of the past during a capoeira festival. “A Family” is about one man’s quest to come to terms with his actions, many years after a terrible act. “A Lucky Man” is an interesting exploration of public spaces and male desire. Overall, this is a beautiful collection of tales. 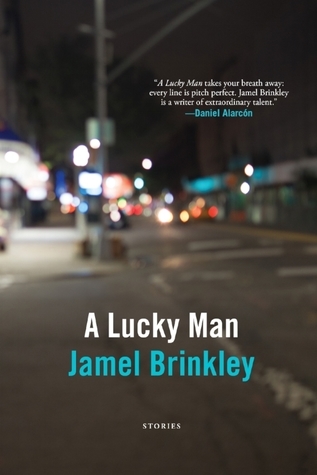 It is hard to believe that this is Jamel Brinkley’s first book, he writes with a talent that is rare and unique. I look forward to any future writing projects he has. Definitely recommend!